Nuclear Pre-Workout Fuel! Increases Physical Output! Fuels Muscle Cells With Explosive Energy & Focus! Long Lasting Pumps & Fast Acting! Nuclear Pre-Workout Fuel! Increases Physical Output! Fuels Muscle Cells With Explosive Energy & Focus! Long Lasting Pumps & Fast Acting!Nuclear Pre-Workout Fuel! Increases Physical Output! Fuels Muscle Cells With Explosive Energy & Focus! Long Lasting Pumps & Fast Acting! The upcoming REPP Sports pre-workout is actually a relatively stacked supplement. It brings together a mix of well-dosed, common ingredients for strength and performance, improved muscle pumps, and of course increased energy and focus. REPP has essentially combined DMHA with the kind of competitive formula you’d get from a brand that doesn’t use DMHA. 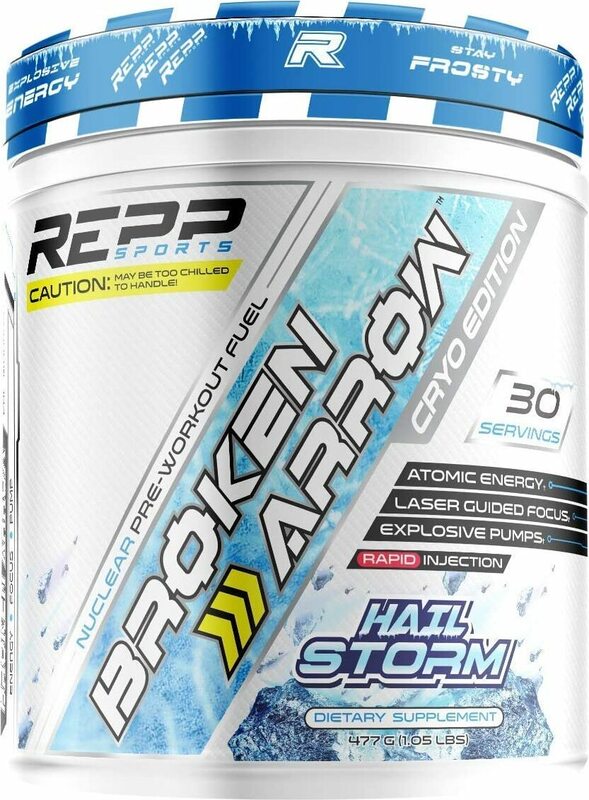 The bigger dosed features making up REPP Sports Broken Arrow include 6g of citrulline malate, 3.2g of beta-alanine, 1.5g of betaine, a gram each of taurine and tyrosine, and half a gram of acetyl l-carnitine. Then on the stimulant side, you have 300mg each of alpha-GPC and caffeine, 150mg of DMHA, and 5mg of black pepper to enhance absorption.